Earlier this year, a major report was published by the Economist Intelligence Unit (EIU) that dug into current trends among major cities in Asia. In the Asian Green City Index, the EIU looked at 22 Asian cities (capitals and other leading business centers) and compared them against each other in key areas of environmental performance. Each city received both an overall ranking and a breakdown of what contributed to their scores in each key area. 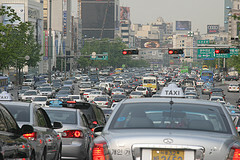 The following data from one city, Seoul, demonstrates what the study highlights. 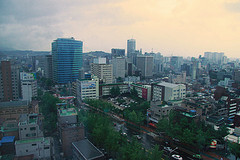 Seoul, the third most densely populated city in the study, ranked well in areas of energy and carbon dioxide, transportation, water, land use and buildings, sanitation and environmental governance. Seoul was lauded for having one of the best transportation networks of buses and subways, and for having minimal water leakage problems coupled with one of the highest rates of access to sanitation and wastewater treatment. The City is also at the top of the class (compared to cities with similar income levels) for low carbon dioxide emissions and high energy efficiency. However, the study revealed that “[Seoul] produces the most waste among all 22 cities in the Index, at an estimated 996 kg per person per year, well above the Index average of 375 kg.” Seoul also only scored “average” on its air quality because of the amount of nitrogen dioxide emissions. “It has the second highest concentration of this pollutant in the Index, at 71 micrograms per cubic metre, compared to the average of 47 micrograms. This is due to Seoul’s over-reliance on cars — automobiles are a main source of nitrogen dioxide — and they are responsible for almost three quarters of Seoul’s air pollution.” Seoul also boasts less green space than the study’s average. The report highlighted figures from the United Nations and the Asian Development Bank revealing that Asian cities are becoming more concentrated as people migrate to urban centers (over the last five years over 100,000 residents moved to Asian cities every day). Overall, the study sought to determine the environmental strength of these leading cities and offer areas for improvement.